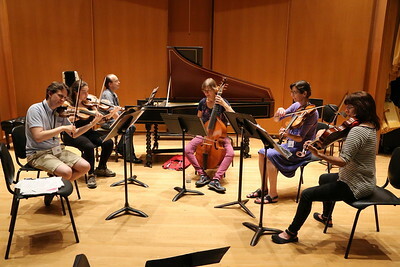 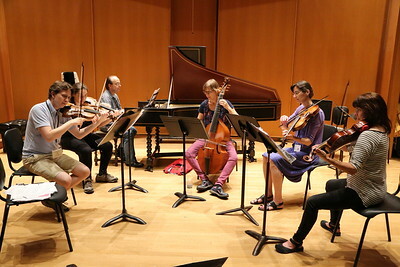 This class examined Telemann's two musical responses to Cervantes, the "Burlesque de Quichotte" for strings and the serenata "Don Quichotte auf der Hochzeit des Comacho." 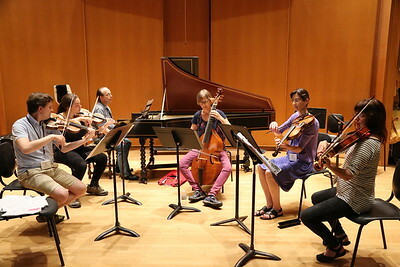 Students were sorted into small groups according to level, to learn selections from both works. 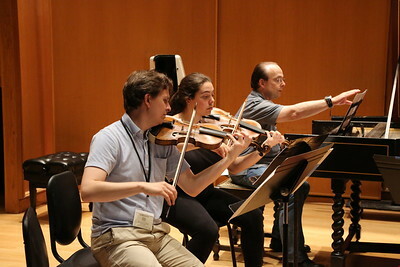 Advanced singers interested in studying the serenata were most welcome. 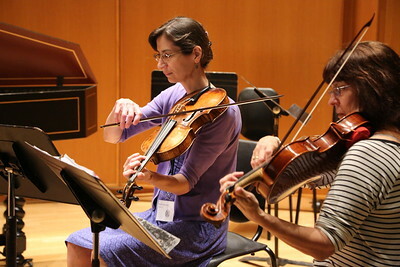 Subjects covered included: 18th-century comic tropes; "French overture" style; Telemann's stylistic evolution; Muffat bowings. 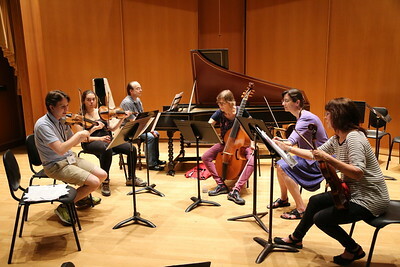 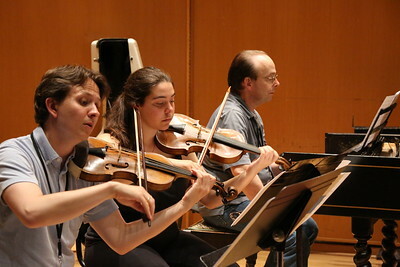 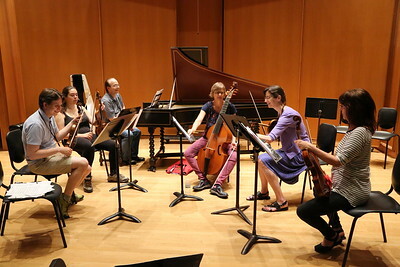 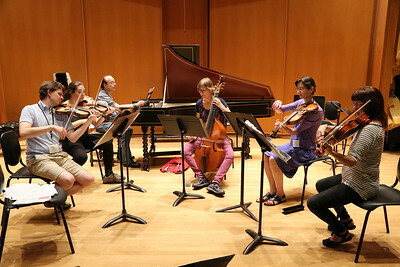 Participants in the “Quixote in Hamburg” class taught by Jude Ziliak & John Chappell Stowe at the 2017 Madison Early Music Festival in the Humanities Building at the University of Wisconsin-Madison Mead Witter School of Music.